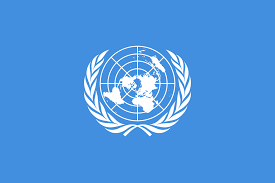 GENEVA (5 January 2018) – Demands by protesters in Iran for freedom and adequate living standards must be addressed and their rights respected, UN human rights experts* have stated. Four Special Rapporteurs expressed extreme concern over the reported deaths of more than 20 people including children and hundreds of arrests across the country. “We are very disturbed by the way the authorities have responded to the protests,” the experts said a joint statement. “We share the worries expressed by Iranian civil society groups over what will happen to the people who have been arrested. “The names and whereabouts of all persons detained in connection with these protests ought to be made public and they should be allowed immediate access to their families and legal counsel. “The Government’s instruction to the Revolutionary Guards to hit hard against the protesters, and the judiciary’s threats of harsh punishment, are unacceptable. “We urge the authorities to exercise restraint and respond proportionately in their efforts to control the protests, to limit the use of force to a strict minimum, and to fully respect the human rights of the protesters, including their rights to life, freedom of expression and peaceful assembly. “We are also very concerned at reports that the Government has blocked the internet on mobile networks, and that social media services like Instagram and messaging services like Telegram have been shut down in an attempt to quell the protests. In some regions, internet access has been blocked altogether. “Communication blackouts constitute a serious violation of fundamental rights. The experts said the absence of steps to address the underlying causes of the protests through non-violent means was “disturbing”. “The Iranian authorities should take immediate action to ensure that all citizens can exercise peacefully the right to freedom of expression and assembly, and should ensure that these and other fundamental rights are not met with violence, to avoid any further casualties,” they said. *The UN experts: Ms. Asma Jahangir, Special Rapporteur on the situation of human rights in the Islamic Republic of Iran; Mr. David Kaye, Special Rapporteur on the right to freedom of opinion and expression; Ms. Agnes Callamard, Special Rapporteur on extrajudicial, summary or arbitrary executions; and Mr. Michel Forst, Special Rapporteur on the situation of human rights defenders.